The School of Food Science has excellent Pilot Scale facilities across both Washington and Idaho. 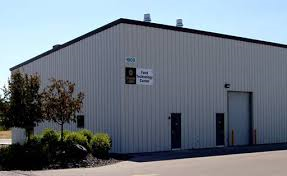 The facilities are located in Pullman, WA and in Caldwell, ID. The WSU Process Pilot Plant is a modern 7,100 square foot facility in the Food Science and Human Nutrition Building on the WSU campus in Pullman, WA. It consists of a large process room with quick utility connections for steam, three phase electric power, potable water and compressed air. A large rear entry provides access for large equipment and forklifts. Adjoining support rooms include space for product storage, food quality measurement, equipment maintenance and plant administration. Temperature controlled coolers and freezers down to -35F with recorders are available for storing raw and finished products. 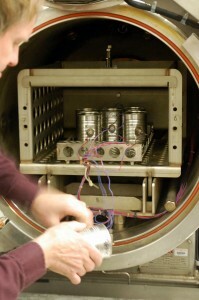 Samples can be packaged in cans, plastic containers, or heat-sealed in plastic film for shipment. Frozen samples can be shipped with dry ice. Project data can be sent to the customer by mail, fax, or the Internet. The Pilot Plant contains physical properties laboratory with computer controlled texture presses and viscometers featuring a wide variety of fixtures and load cells for compression, bending, shearing, and tension using quasi-static and dynamic tests including Texture Profile Analysis. A digital color meter that measures L*a*b* and reflected spectra is available. The plant supports the WSU College of Agricultures programs of Food Science, Food Engineering and Post-harvest Technologies. Engineering services for process design and equipment modification are available through the Department of Biological Systems Engineering. The School of Food Science provides microbial and analytical testing services for product safety. The School of Food Science has a modern eight booth sensory panel room for product testing. Professional sensory consultants are available to develop experimental designs. If you need further information, please contact Frank Younce. The WSU Creamery is located in the Food Quality Building on the WSU Pullman campus. Included in the facility is a 455 square-foot room utilized for research and teaching.This room is equipped with steam, ice water, domestic water, electricity and air. Some of the available equipment includes small (400-pound) cheese making vats, a steam chest that can hold three 10-gallon milk cans, a batch and continuous ice cream freezer, and milk homogenizer. Some of the workshops that are hosted by the Creamery utilize this room. 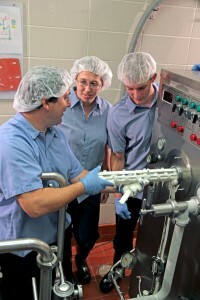 Graduate students working on dairy processing techniques or focusing on new ingredients can use this facility for their work. 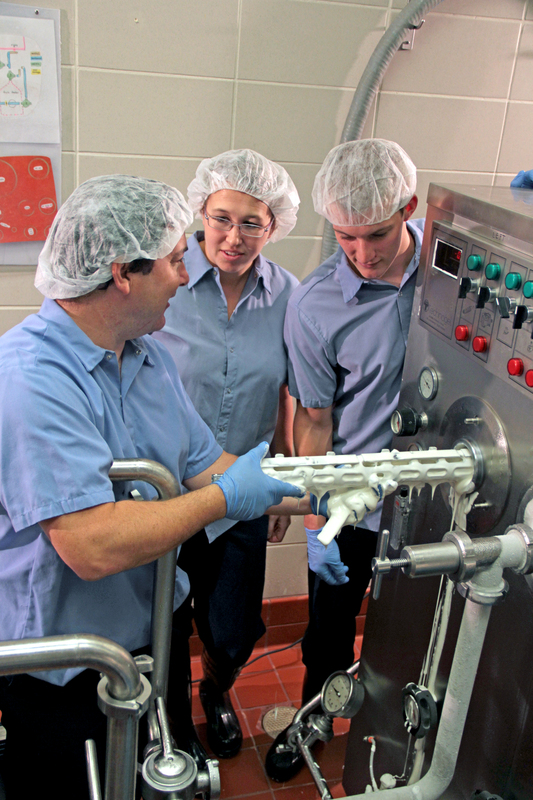 Occasionally, people from the dairy industry rent the Creamery Pilot Plant to facilitate their own research on a small scale. The Creamery also has a small (2 gallons per minute) HTST pasteurizer that can be utilized for experimental use only, as it is not a legal HTST system. For further information contact Creamery Manager, Russell Salvadalena or 509-335-7074. The mission of the Food Technology Center in Caldwell, ID is to provide a facility and resources to assist Idaho businesses with food related issues that involve processing, R&D, marketing, education and business strategy. To provide a multi-use facility to a very diverse industry, the Food Technology Center houses both a commercial kitchen to serve the needs of food entrepreneurs, restaurants, caterers and specialty food producers, and a pilot plant to accommodate the needs of larger food companies. The Food Technology Center, run by Jim Toomey and Josh Bevan, provides education and resources to small and pre-venture food companies. Having sufficient background in areas such as food safety, sanitation, food regulation and business planning are critical to ensure success and growth.